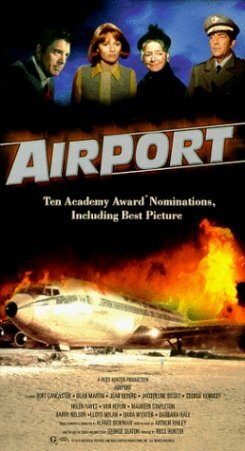 Plot Summary: A man with a self esteem problem, no money and no job takes out a huge life insurance policy and then attempts to kill himself by blowing up the aircraft he is on, so that his wife, who he loves dearly, will get the insurance money. Comments: This film is a little dull for the avid disaster movie fan, but given it's age, campy characters and the fairly exciting cabin decompression, it rates a solid four. The characters are lovable, the story, although quite long, is still very entertaining. One of the all time air disaster greats. Special Effects: The special effects used in the cabin decompression are excellent. The realism of the whole event is superb. The only noticeably poor effect was the cockpit view of the landing. However recent films are still battling to achieve a realistic in-cockpit landing shot without it looking fake. Top effort for everything else, though. If you spot any errors in the above information, please contact me at disasteronline@hotmail.com.